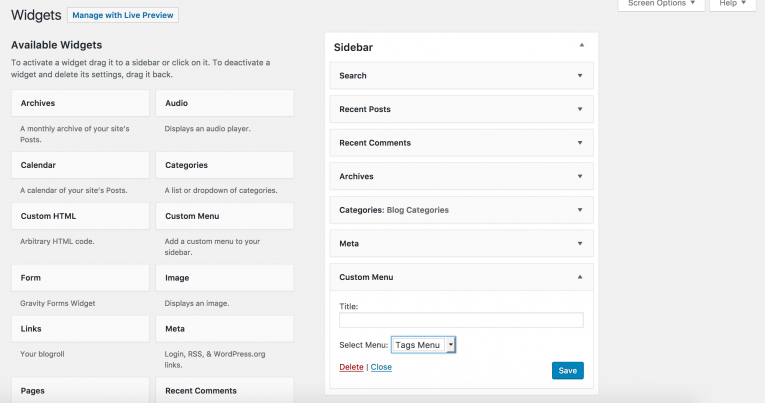 The WordPress Appearance Menus Screen enables a user to create custom navigation menu.  Click the link from the left hand side of the dashboard menu. 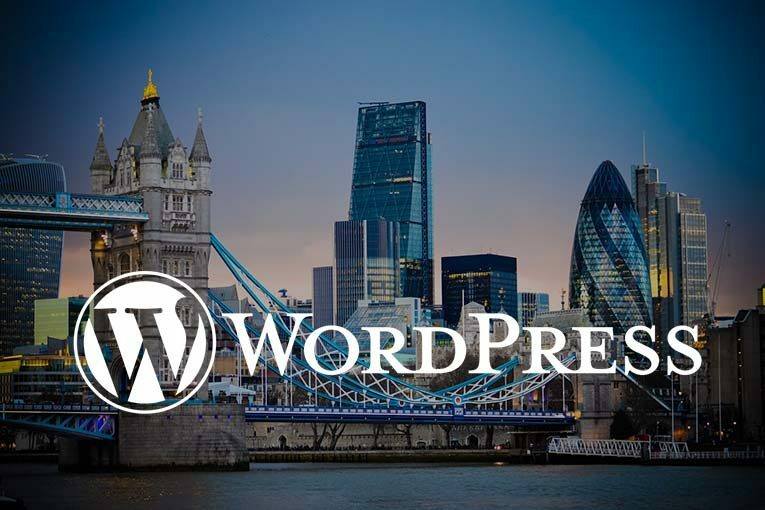 If you already have menus set up in your WordPress theme, you can manage them as follows. Choose the WordPress menu that you wish to edit from the top drop down list shown at the top left of the screenshot below. Some sites have multiple menus so take care to select the right one. The items or pages that are already included in your menu are shown under the menu structure. You can drag and drop these to reorder them. To make changes to them you can click on the menu item, that will allow you to change the text or remove the item. 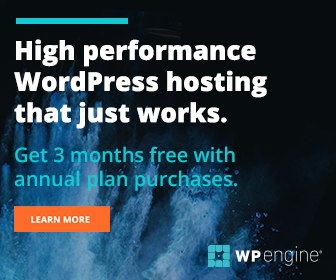 You can add new items to your WordPress menu. You can add a custom link or choose items from the available options shown, such as categories or events. To add a page to the menu, tick the box next to the page you want to add and then click add to menu. If you cannot see the page you wish to add, then click on the ‘view all’ tab at the top of the pages box. You can then reorder the menu as you wish. Theme locations allow the definition of the placement of your menu. This might be your primary WordPress menu or you might have another option if your theme has menu placements in other areas such as sidebars. 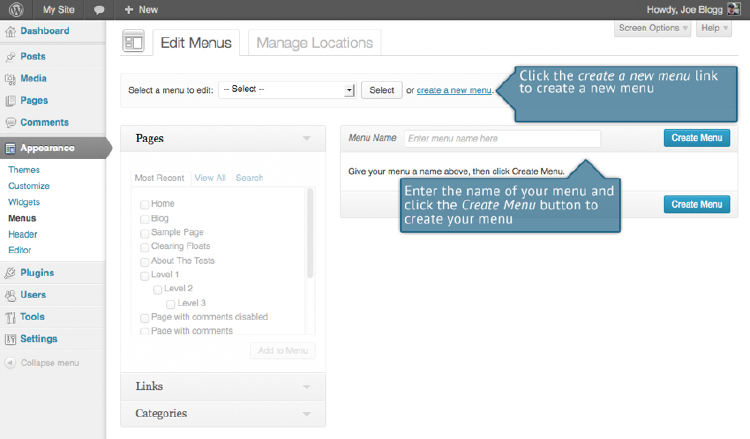 You also have the option to automatically add new pages you create to your menu. You will probably want to be careful with this though because if you create a lot of pages your menu might end up not fitting properly. To create a new custom menu, click on ‘create a new menu’ at the top of the page. Even if your theme does not support custom menus, you can still create them and display them in one of your widget areas, by going to appearance » widgets » custom menus. If your theme includes support for more than one menu (relatively rare as widget areas are generally used), you can choose which custom menu to associate with each area. Delete Menu Click this link to delete the menu. Deleting also deletes the menu items. Save menu Click this button to save the menu. Now you can edit the menu as described above. 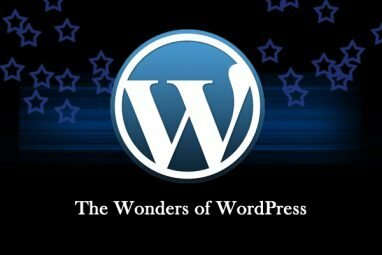 As described above it is possible to add a menu that you have created to your page using a WordPress widget. Then you will drag and drop the widget into the widget area where you would like it to appear. As you can see below, I have dragged the Custom Menu widget to my Sidebar. (You can also add it to header or footer widget areas if you have them). From the dropdown I have selected my custom menu, Tags Menu. You can also add a title for your menu widget if you wish. Then Click save and your new widget will appear in your sidebar (or other widget area that your theme has available). Menus in the WordPress codex.